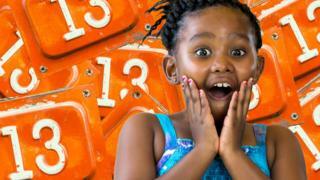 Why is Friday 13th believed to be unlucky? It's Friday 13th this week - supposedly the unluckiest day! But why do people always think something bad's going to happen when it comes around? No one's sure what the exact origin of the superstition is. The number 13 and Friday both have a long history of bringing bad luck - and it's the combination of the two that makes the day the most feared. Many think that the reason for the number 13's bad luck comes from the Bible. Judas, who betrayed Jesus, is thought to have been the 13th guest to sit down to the Last Supper. Even today, it's considered unlucky to have 13 people sitting at a dinner table, and some people pop a teddy bear in a seat to make the number of guests up to 14! In Norse mythology, a dinner party of the gods was ruined by the 13th guest called Loki, who caused the world to be plunged into darkness. It seems the superstition has stuck. Some hotels will have no room 13, while a lot of tall buildings 'don't have' a 13th floor, jumping straight from 12 to 14. Some airlines also refuse to have a row 13 in their planes too. For hundreds of years, Friday has been considered the unluckiest day of the week. In Geoffrey Chaucer's famous Canterbury Tales, written in the 14th Century, he says "and on a Friday fell all this mischance". In Britain, Friday was once known as Hangman's Day because it was usually when people who had been condemned to death would be hanged. But Good Friday - the day of Jesus Christ's crucifixion - is thought to be the only Friday that bucks the trend, hence its name. If you're born on Good Friday you're thought to be lucky, while sailors, who are notoriously superstitious, would sometimes begin a long voyage on Good Friday because of its holy connections. But the combination of Friday and the number 13 as a day of particularly bad luck seems to be a relatively recent tradition - perhaps only about 100 years old. There's even a special word for the fear of Friday 13th - paraskevidekatriaphobia. We've got a fear of trying to pronounce that word...! Let us know below if you believe that Friday 13th is an unlucky day - or if you have any other superstitions! It's Friday 13th - do you have any unlucky superstitions? More like good luck day for me! 3 of my friends had birthdays. Someone broke there arm and we always get SRE on Friday 13th.???? I don't think it's its unlucky i dont know why i just dont! If they've got the fear of long words it's called hippopotomonstrosesquippedaliophobia. Yeah! That's WORSE! The boys in my class were even MORE annoying today. Needless to say, Friday the 13th is considered a lucky day in our family. Last year we were all writing scary stories in class and we were told to pick a date and all of us picked Friday 13th October 2017! I actually have Fridays as good days (we get out of school earlier, it's the weekend, we get no homework, we do fun subjects and I have Dancing on later) and 13 is one of my lucky numbers (it's a prime number and I like the shape) so I count Friday the 13th as lucky, mainly because other people think it is unlucky!